MUNICH (Reuters) - The world's most popular messaging service, WhatsApp, is dropping its token $1 fee still levied on some users as it experiments with making businesses pay to reach their customers, Chief Executive Jan Koum said on Monday. In addition, the Facebook-owned communications service expects in the coming months to offer complete encryption of messages, in a move to ensure the privacy of user conversations that is likely to draw further criticism from some governments. The authorities in the United States, Britain and elsewhere say the growing prevalence of encryption on services such as WhatsApp and Apple's iMessage, hamstring their ability to monitor criminal suspects or thwart militant plots and have threatened to pass new laws to block these changes. WhatsApp, the service that offers free text, picture and video messages, has been slowly working to develop end-to-end encrypted communications services for more than a year. It has already introduced full encryption for users on Android phones. 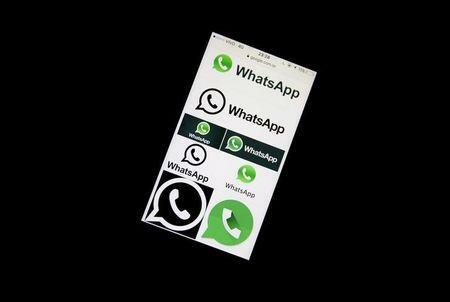 "We are a couple of months away from calling it done," Koum said, noting that once completed, WhatsApp will represent the world's largest service offering completely private messaging. "Soon we will be able to talk more about this," he said. Once fully introduced, WhatsApp will be the largest encrypted communications service in the world, he noted. The seven-year-old company, which was acquired by social media giant Facebook for $19.2 billion in 2014 and now counts nearly 1 billion users, is testing making restaurants, airlines and credit card firms pay to contact consumers. "Today, we are announcing that WhatsApp is going to be free to users. We aren't going to charge a dollar a year anymore," Koum told an audience of entrepreneurs and investors at the annual Digital-Life-Design (DLD) conference in Munich. He said making customers pay even small amounts remains difficult in many countries where access to credit cards and bank accounts for making online payments remains complicated. Instead, Koum said it will begin experimenting this year to simplify how businesses interact with consumers.